As well as a dining area, pub, recreational area and conference facilities. It is close to the CBD and set in tranquil gardens! 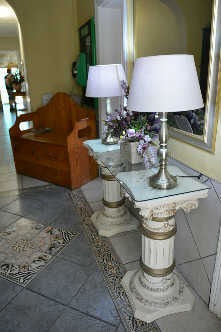 At Rita’s Guesthouse you can only expect the best service and quality. The place where you can feel at home and be part of the family, but still be treated like a V.I.P ! Laundry facilities are available on premises. For more information: Please contact us!